Stephanie Lim: Shawn Cutler ♡ trimmed and colored! Shawn Cutler ♡ trimmed and colored! 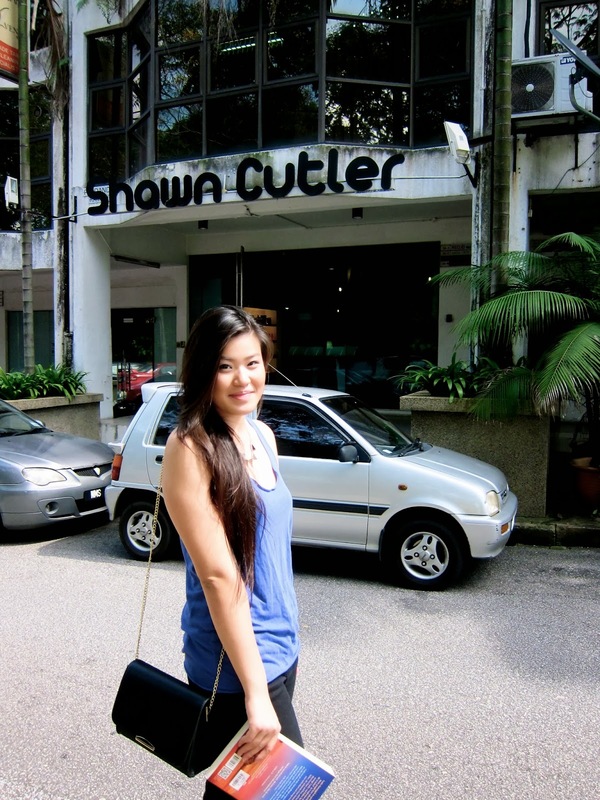 Visited Shawn Cutler's outlet at Bukit Damansara for my yearly haircut. It wasn't that tough finding the saloon and parking was a breeze! This time I brought Erin along as she was in a dire need of a trim too! As Shawn Cutler is known for their hair cuts what can be more fitting than introducing them to my her? My hair was super dry and frizzy, I had to trim it off by inches even when I didn't want to. There was no salvaging the ends of my locks with all the split ends that have accumulated over the months. I'll definitely miss the length but it will grow back eventually. The branch in Bukit Damansara was very cozy. Like the one in Bangsar, they had lengthy mirrors and comfy chairs. So Erin was the first to have her hair checked and advised. I love how they do care for your hair and make suggestions on things to maintain healthy locks. Remember my before picture above? Now take a look at the after. So much healthier and shinier without even coloring! I was really pleased with the outcome eventhough I was pretty sad about the length. It is never easy chopping off your hair even if it's 'not that much'. 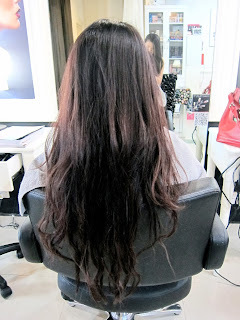 According to Raymond, my stylist, if I didn't cut it off my hair would only get worst when time goes. I left the saloon with a way healthier hair that day! I returned a few days later, this time alone for a new hair color. It was time to ditch the purple for something more natural. By the way, they provide manicure and pedicure services now. 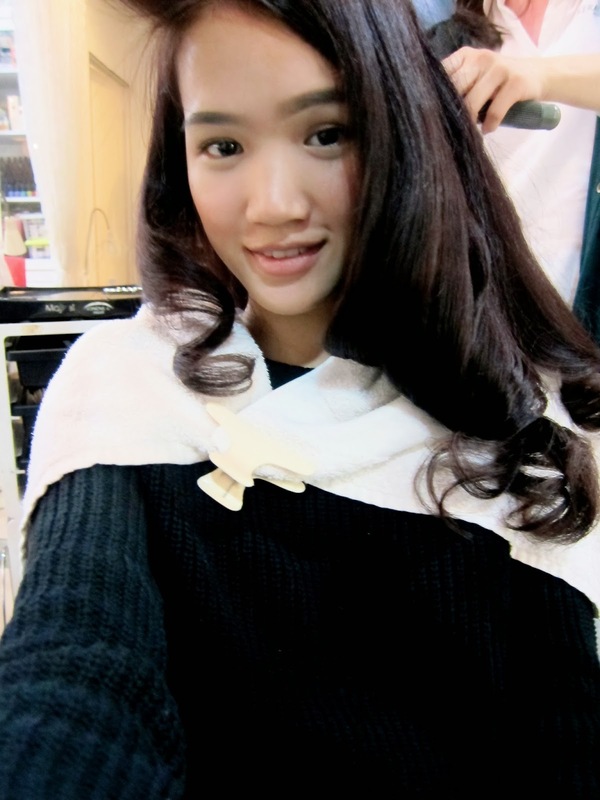 Raymond then chose a more suited color for my hair, it is now dark brown which is easier for me to maintain and it's not so drying on my hair. The usual coloring process took part, it took about an hour for the color to set in. Time passed quickly as I was busy chatting away with the staffs as they were all so friendly! My hair is pretty thick but it didn't take long for it to be done as the Shawn Cutler team is pretty good with what they're doing. Love how my hair is now! It's so much more manageable and no more split ends. 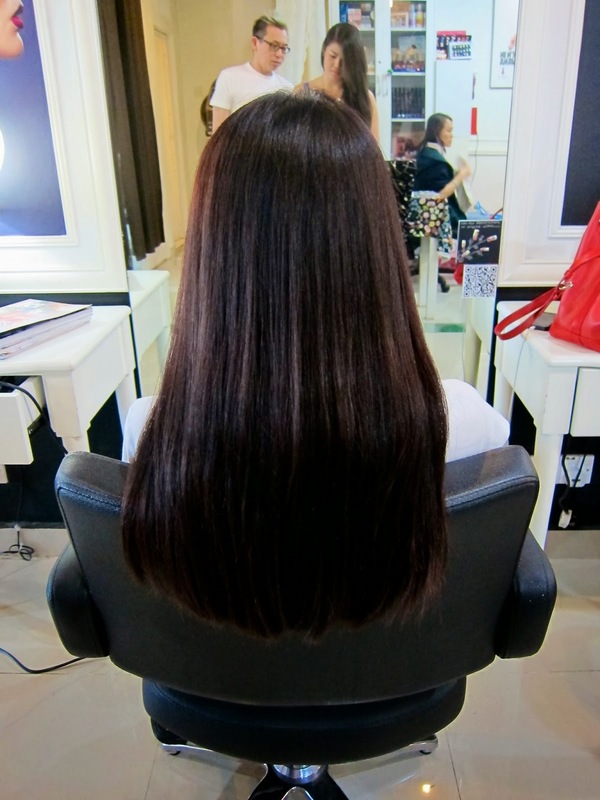 A straight cut instead of the usual 'V' or 'U' shape helps maintain the shape of my hair and also combats tangled hair which in the end helps prevent hair loss as I won't be tugging and pulling my locks when combing. A satisfied customer I was!